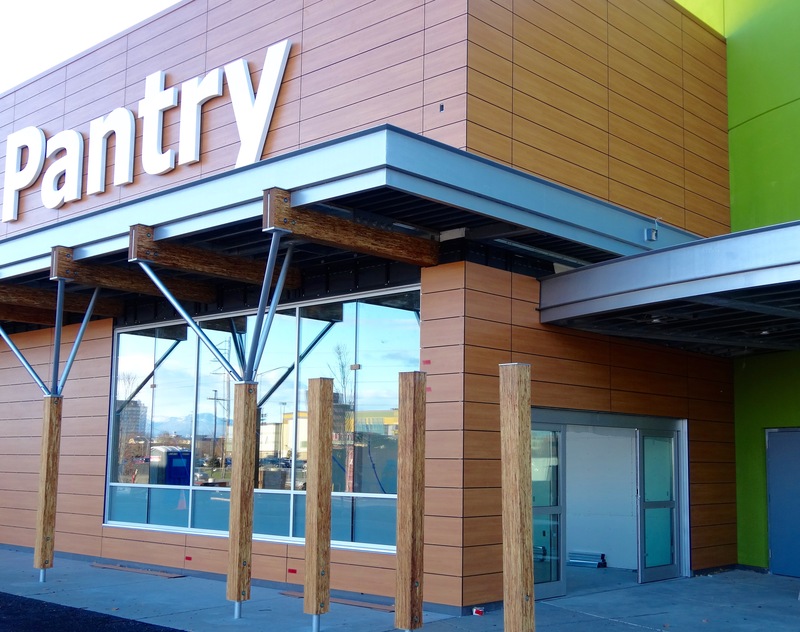 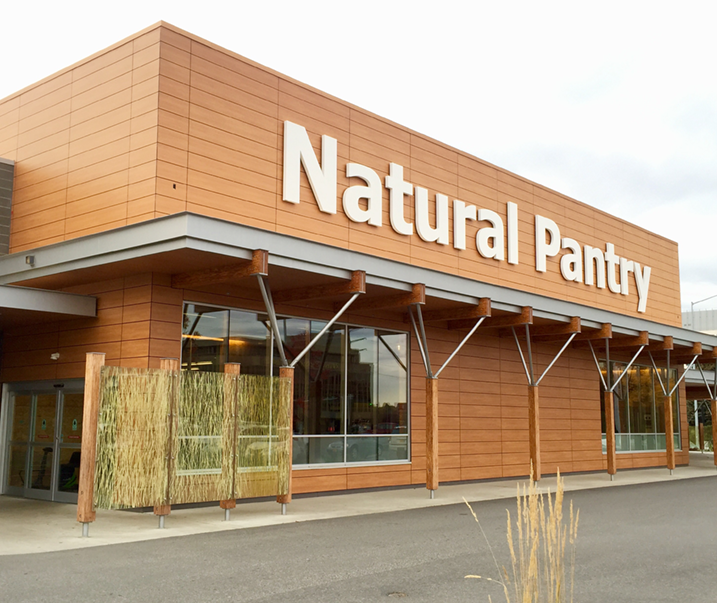 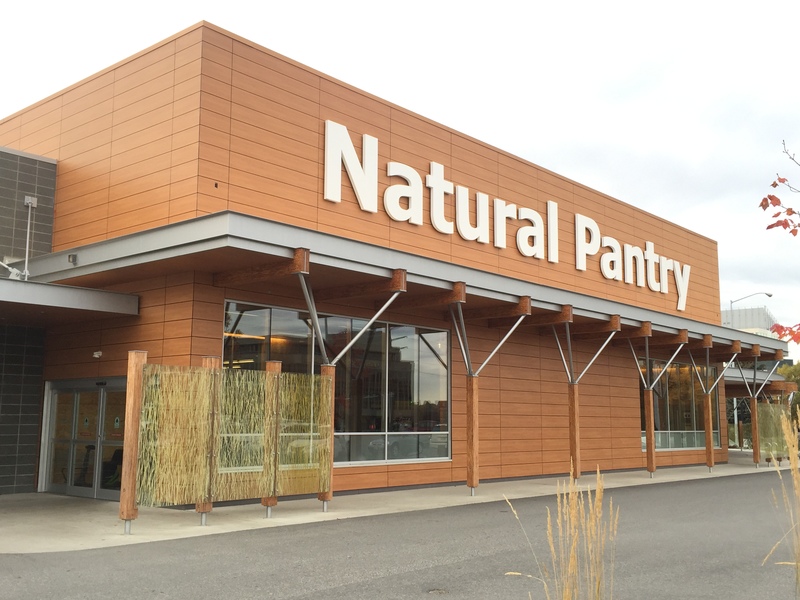 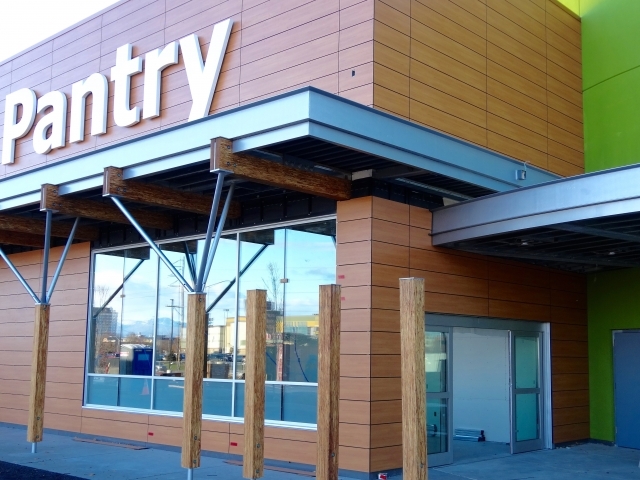 Serving the Anchorage market for years, Natural Pantry expanded their business into this beautiful new store in 2014. 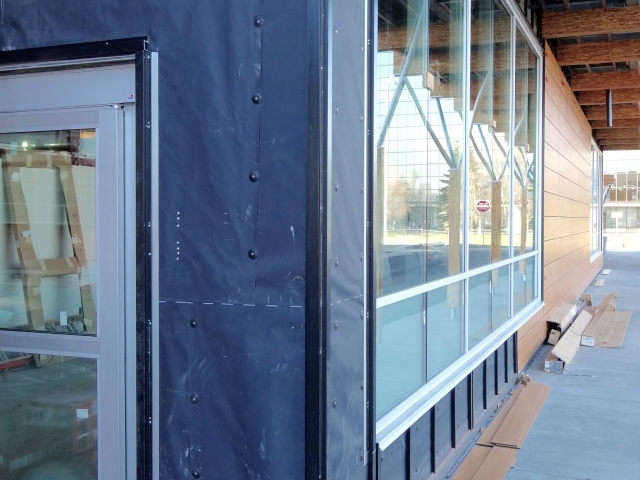 Protecting the core of the building from the elements is VaproShield RevealShield black air barrier membrane. 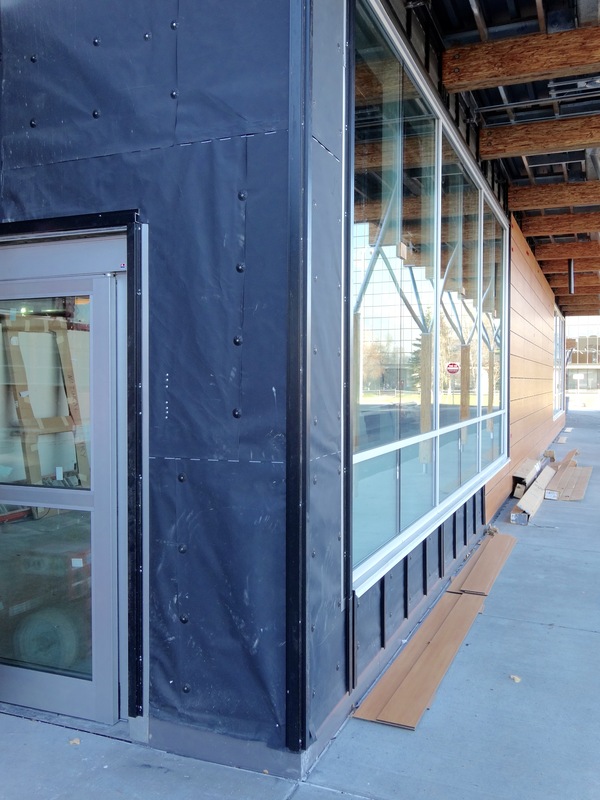 This, like all open joint rain screen systems, provides both excellent weather proofing, breathability and the black color behind the panels at the open joint reveals. 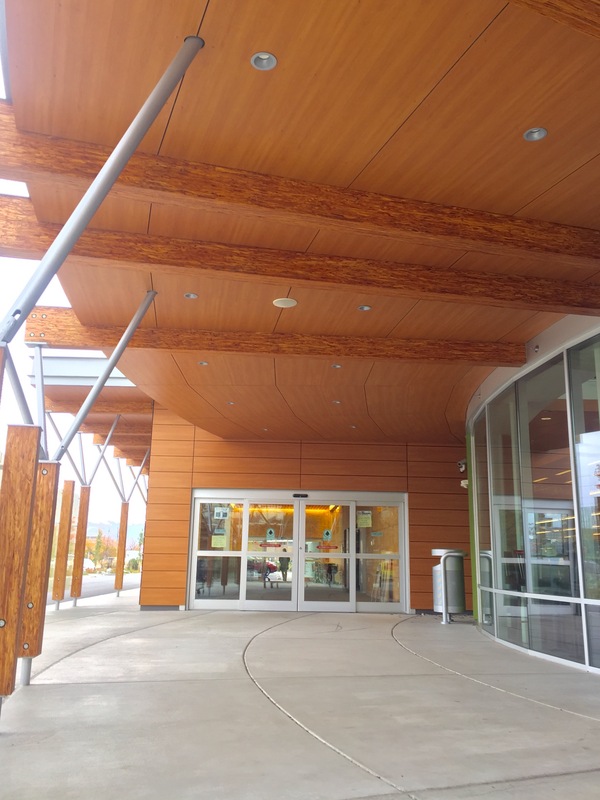 Spark Design did a wonderful job in utilizing the Stonewood Phenolic panels at multiple locations for a very warm look to the building (cladding, soffits, screen wall, monument sign). 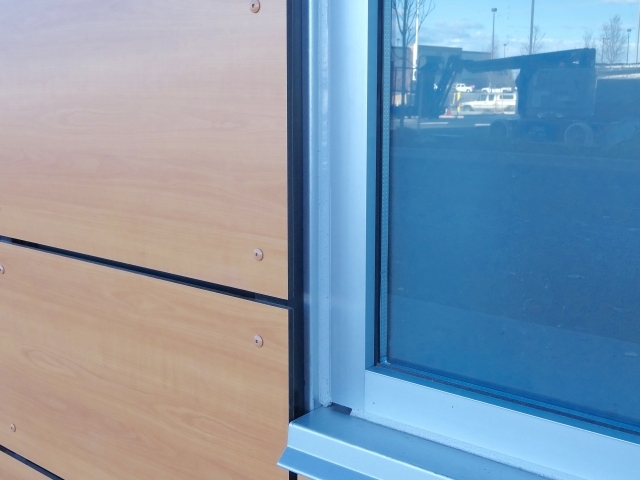 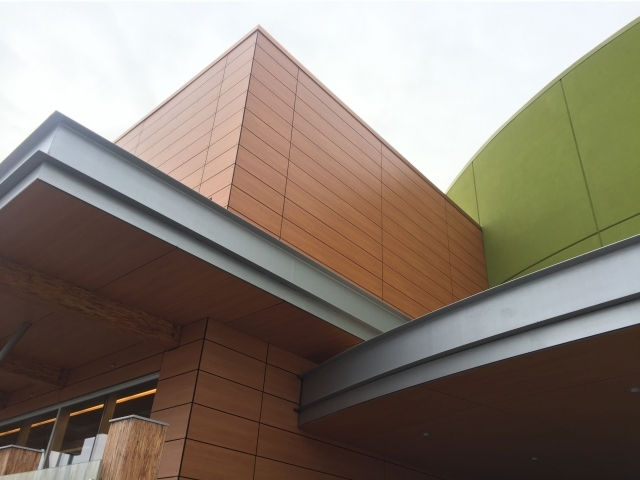 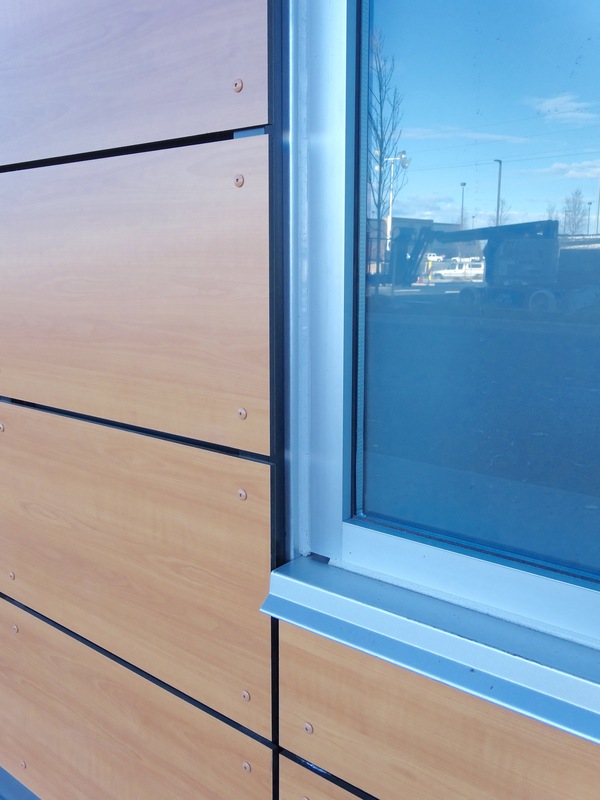 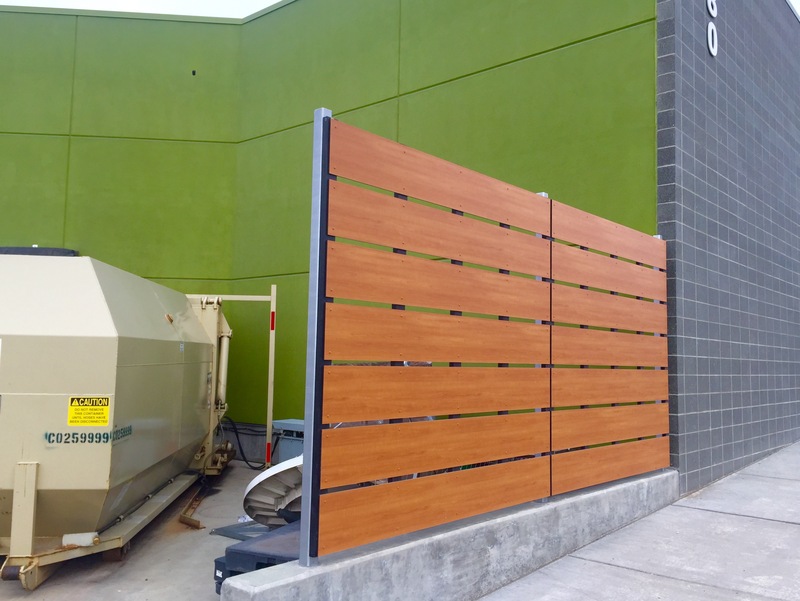 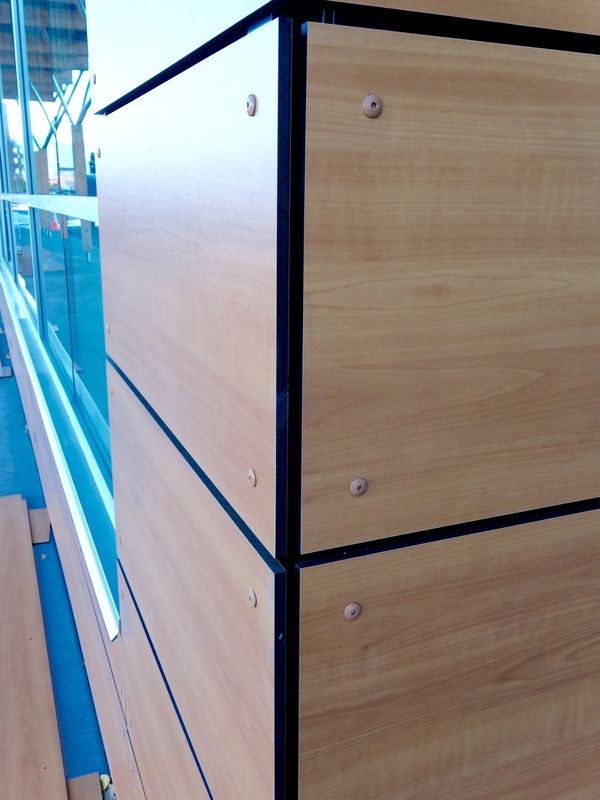 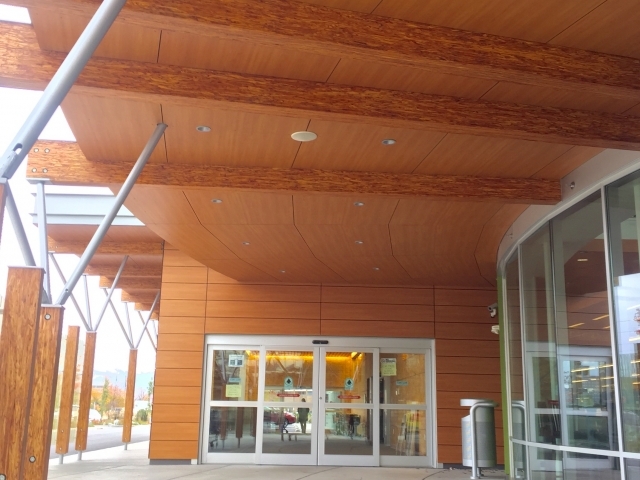 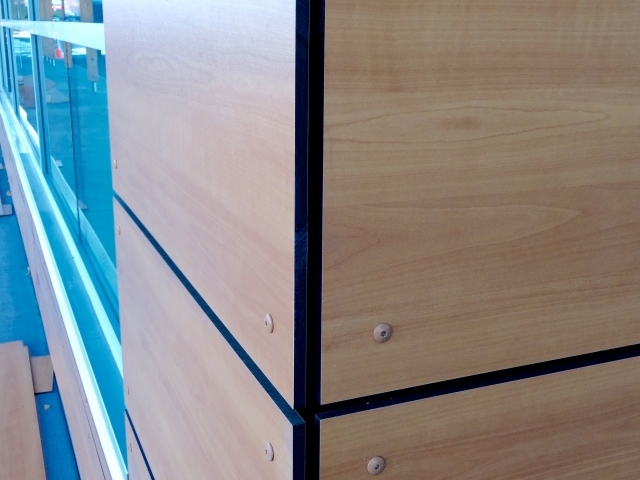 This use of the phenolic cladding is a great example of the versatility that Stonewood Panels can bring to any project design.